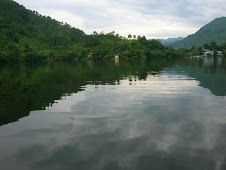 Bhimtal has always been popular among tourists as a stop over. BUT I strongly feel there is more to Bhimtal and people do come here for Holidays. The association with Mahabharata, Bhimeshwar Mahadev temple, Hill of Karkotaka, Nal Damyanti Tal, Hidimba Parvat...There is lots to see and do! One can also explore nearby areas of Naukuchiatal, Sattal and Nainital. Country Inn Bhimtal: Country Inn is a good 3 Star Deluxe resort located in a quiet village close to Bhimtal Lake. Please note that Country Inn does not offer any lakeview. However, the rooms are nice and you also have an option of One/Two bedroom Cottage...excellent for families. Country Inn is also one of the only few resorts to have a Swimming Pool. Other facilities include a Health Club, Mini Theatre and Conference Hall, etc. Rates are slightly on a higher side...Not recommended for those who want to stay by the lake. Monolith Resort Bhimtal: Monolith is known in the entire region for bagging the India Architecture Award in the Best Resort Architecture category. Located above the lake this small but extremely beautiful resort is indeed a work of art. Blessed with a Swimming Pool, A viewing Tower and an open air lake view restaurant, Monolith Resort is arguably the best in Bhimtal. However, I have heard stories of their family dispute which answered my concerns about the resort not being maintained well. But I still liked it when I went in July...Love the food there. That's probably one thing which will definitely not disappoint you. And last but not the least...The rooms are very well made and trust me the quest for "newness" that you are looking for in a resort room gets answered here. Little damp during the monsoons but thats everywhere in the region.